Diversity in culture represents diversity in flavors and spices. India, known for its rich culture, also has diverse tastes in food. 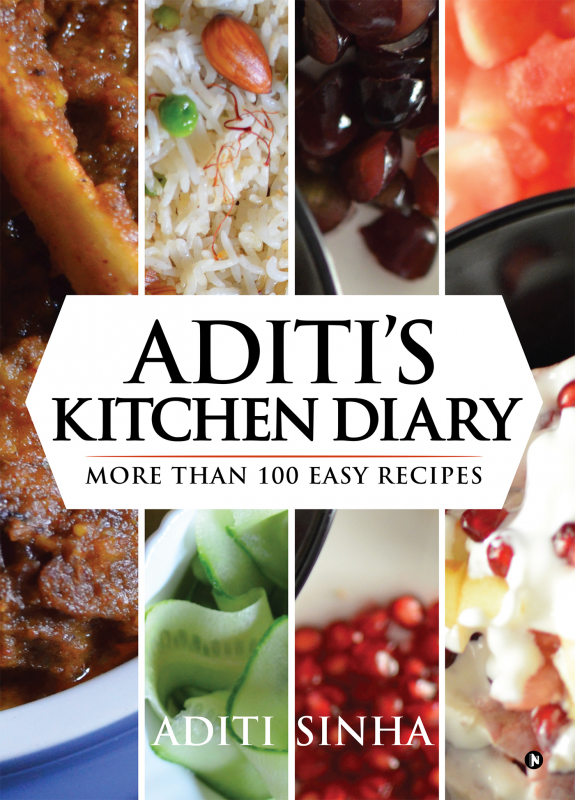 From the kitchen of a passionate homemaker, here is a collection of handpicked recipes from distinct parts of the country—ranging from simple yet inviting dips to classy yet effortless curries, this book gives off the fragrance of India as a whole. Aditi was born in 1967. She was brought up in Gauhati (Assam), and she currently resides in Siliguri (West Bengal). Being the eldest daughter in her family, she took up the responsibility of kitchen duties due to her mother’s illness. That was when she found her passion for cooking. After marriage, she accompanied her husband to wherever he was posted and had the opportunity to travel to many regions in this country. She did not let go of a single chance to learn new recipes—from learning the basics of cooking from her mother and grandmother to learning how to cook different cuisines from strangers she met during her travels. At the age of 50, this excellent homemaker and proud mother of two gathered the courage to write her first book and share her experiences.